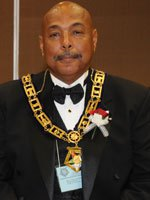 ……..My brother, Andrew Burroughs Sr., who just received his 33rd Freemason degree! Of course, our family is very proud of him! This entry was posted in news and tagged Andrew Burroughs Sr., Freemasonry. Bookmark the permalink.